Conference calls: we all hate them, right? But what if you could tune out and let a computer do the work of listening? Photo by alexhung on Flickr. »This script listens to meetings I’m supposed to be paying attention to and pings me on hipchat when my name is mentioned. Two thoughts. Probably shouldn’t have given his real name on this; anyone else itching to use this? Though it doesn’t show how much they paid for music. On average, people who buy downloads or CDs get an album a month – about the same as a music service subscription. »on a day of political high drama in Washington, Mr. Comey rebuked Mrs. Clinton as being “extremely careless” in using a private email address and server. He raised questions about her judgment, contradicted statements she has made about her email practices, said it was possible that hostile foreign governments had gained access to her account, and declared that a person still employed by the government — Mrs. Clinton left the State Department in 2013 — could have faced disciplinary action for doing what she did. The Justice Department is highly likely to accept the F.B.I.’s guidance, which a law enforcement official said also cleared three top aides of Mrs. Clinton who were implicated in the case: Jake Sullivan, Huma Abedin and Cheryl D. Mills. Dear Hillary, please read on for useful advice. »Turn the phone off before entering any situation that might lead to you being coerced to use your fingerprint to unlock the phone. ProTip: if you reboot the phone and not unlock it, it will still let you listen to music if you use the EarBuds remote. Upon entering hostile networks, start refusing iOS, app and carrier updates. Use Airplane mode extensively. Turn off WiFi when you don’t need it. You’d have to be expecting pretty hostile security environments for this stuff, but some people do. Maybe Hillary Clinton’s next phone will be one of these? »I used to rely wholly on my cumbersome iPhone6+ to help me to navigate the maze of London’s streets with my guide dog. Most people don’t realise that you need both hands to work a guide dog, and I had to clumsily juggle the lead, harness and phone, while trying to orientate myself to where I was going. The sun’s glare often made it impossible for me to read the screen. I was stopped twice by police officers telling me to put my phone away, apparently, ‘a blind person carrying a phone is asking for trouble’. Often we forget how transformative tech really can be. »The source of this existential conundrum is Luka, a company that focuses on what it calls “high-end conversational AI.” It has a free iOS app, also called Luka, which seems pretty benign, featuring a number of chatbots covering a range of tasks that rely on text input to respond and interact in a friendly way. That’s a lot more than just the Q&A you get with Siri. The company develops new chatbots for all sorts of different purposes all the time. For instance, three recent ones are based on the cast of the HBO series Silicon Valley. Fans can talk to these fictional characters and get responses in keeping with their on-screen persona. Very recently however, Luka was adapted in a brand new way, to include a chatbot based on a real human being—one who just so happens to be dead. It’s this ghost-in-the-machine that has the audience spellbound, as Luka’s cofounder Eugenia Kuyda explains how text messages, social media conversations, and other sources of information on the deceased were grafted onto an existing AI platform. 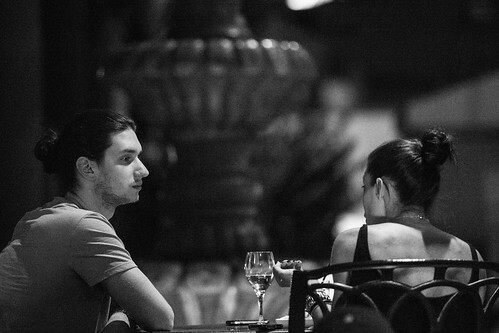 It started out as an experiment that, in a matter of months, enabled her and others to continue to interact with Roman Mazurenko, a fellow Russian who had died in a road traffic accident in November last year, the man she describes as her soul mate. Amazingly, the whole (quite long) feature goes all the way through without once mentioning that this was pretty much the basis of an episode of Black Mirror. »In practice the app is looking for a network called “SmartPlug” and this version of the hardware creates a network called “XW-G03”, so it never finds it. I ended up reverse engineering the app in order to find out the configuration packet format, sent it myself and finally had the socket on the network. This is, needless to say, not a reasonable thing to expect average users to do. The alternative is to find an older Android device or use an iPhone to do the setup. …This is a huge problem. If anybody knows the MAC address of one of your sockets, they can control it from anywhere in the world. You can’t set a password to stop them, and a normal home router configuration won’t block this. You need to explicitly firewall off the server (it’s 115.28.45.50) in order to protect yourself. Again, this is completely unrealistic to expect for a home user, and if you do this then you’ll also entirely lose the ability to control the device from outside your home. In summary: by default this is stupendously insecure, there’s no reasonable way to make it secure, and if you do make it secure then it’s much less useful than it’s supposed to be. Don’t buy it. »this year Huawei looks to be in a little trouble. While still maintaining the number one spot in terms of production volume estimates (a loose indicator of sales success), Huawei’s dominance looks to be on the decline. Market analysts TrendForce have just downgraded Huawei’s production estimates for the year. This potentially puts the number one spot up for grabs next year as other OEMs ascend rapidly. Just as Huawei is starting to plateau, smaller companies like Vivo and OPPO are on the rise. While Huawei’s predicted growth has been lowered to 10.2% year-on-year, OPPO has been estimated to grow by 59.2% and Vivo by 40.4%. Xiaomi and Lenovo are expected to see negative growth in 2016, continuing their decline. Meanwhile, young upstart LeEco is enjoying massive growth of 300% year-on-year, even if its production volumes are still well below its more established competition. OPPO and vivo are low-end devices; Huawei is pushing into the higher-end space. Xiaomi and Lenovo have problems though if that forecast holds. »US computer-maker Dell and the Chinese smartphone company OnePlus are both raising their prices in the UK and saying the move is the result of the nation’s vote to leave the EU. Another company, used by several camera equipment-makers to bring their goods to the UK, has also revealed it will soon follow suit. Intro 2020 said it had been “punched in the stomach very hard” by sterling’s drop after the Brexit referendum. Experts predict further price rises. The pound hit a fresh 31-year low against the dollar earlier on Wednesday – it has dropped more than 12% since the eve of the Brexit referendum result. Falls against some Asian currencies have been even larger. Others will follow; it’s just going to be a matter of time. Only a lunatic would have hedged for that big a drop in sterling, which means dollar-denominated prices will rise in a month or two. »According to Check Point, as many as 10m devices around the globe have infected apps installed on their Android smartphone or tablet. Unsurprisingly, majority of those come from China, India, and the usual Asian countries, but the US isn’t clean of it either. At the moment, however, HummingBad isn’t doing maximum damage. It does attempt to root devices in order to further spread its malware, install more infected apps, and whatnot. Failing to do that, it has fallback measures to gain access. All of these are being done in the name of generating ad revenue. However, considering it tries to gain root access, its actual potential is far more frightening. That said, based on Check Point’s own data, older Android devices are more prone to getting infected, with Android 5.0 Lollipop and Android 6.0 Marshmallow showing the smallest shares. However, it is the narrative around HummingBad that is actually more worrying. Check Point traced the malware to a Chinese entity named YingMob, which turned out to be a mobile ad server company. In a nutshell, it is actually a legit company partnering with other legit companies to serve ads. Most malware groups turn to hide underground, but YingMob operates out in the open, though the group behind HummingBad is just one part of the company. Usually Android malware is restricted to China; this is unusual and worrying. Is it really a good idea to do a charity parachute jump? Photo by puritani35 on Flickr. »Spotify has 30 million paid subscribers, CEO Daniel Ek announced today in a tweet. This is the first subscriber update Spotify has given out since it announced it had 20m subscribers days before Apple Music hit the market last June, and shows the increased competition has had little to no effect on Spotify’s growth. In the nine months that Apple Music has been available, the service has picked up 11 million subscribers. Spotify has added 10m paid subscribers in the same time. The Swedish streaming service is now adding an average of 10m paid customers a year — it only had 10m subscribers total in 2014— a growth rate it will need to maintain as it goes up against Apple Music and its substantial marketing war chest. What’s also notable is the flood of exclusive content put out by Apple Music and Tidal over the past few months seemingly hasn’t harmed Spotify’s user retention. It was going so well until that last sentence. Singleton has no idea what has happened to Spotify’s user retention; it might be seeing colossal churn (people joining while others leave) or be rock steady. The raw numbers don’t tell you. It’s a reasonable guess, but that’s all it is – a guess. That might seem like nitpicking, but it matters: it’s key to knowing whether Spotify really does have loyal users, or just fly-by-nights. And it’s also a bad idea to state things as fact that you don’t know directly. »After combining the installed base numbers, churn, new sales, upgrade rates, and such, Rakers arrives at a “guesstimate model” for how the Apple installed base may expand, and how that trickles down to potential iPhone sales. That results in numbers that would be above his own estimates. For example, Rakers figures if Apple’s installed base total 625m units in 2015, if Apple maintains an 18.8% share of the global smartphone market this year, which is projected to be 3.958bn units, and it if gets 19.6% of the expansion of that total smartphone market, it would bring Apple’s installed base to 744m units. Rakers then backs out of that an “implied gross change” of 144m units, backs out of that refurbished sales of 95 million, and comes up with 49 million “implied net new iPhone installed base shipments.” He then combines that with “new iPhone shipments into prior year installed base,” and comes up with a potential sales level of 239m iPhones this year. That’s above Rakers’s own estimate for 217.4m units, and above what he deems Street consensus of 208m units. It would also be growth from last year, versus the decline everyone’s expecting this year. The pricing for the new iPhone SE, lower than any new iPhone, could make a difference there. »The US Supreme Court on Monday stepped into the high-profile patent fight between the world’s two fiercest smartphone rivals, Apple and Samsung, agreeing to hear Samsung’s appeal of what it contends were excessive penalties for copying the patented designs of the iPhone. Samsung Electronics paid Apple more than $548m in December related to a jury verdict from 2012. It is seeking to pare back the $399m of that amount that was awarded for infringing on the designs of the iPhone’s rounded-corner front face, bezel and colorful grid of icons, saying they contributed only marginally to a complex device. The Jarndyce and Jarndyce of the digital world. But it also matters (notes Neil Cybart) because it affects how one values design. Google and Facebook wanted the Supreme Court to hear it; Apple didn’t, he says. »Normally, when liberals talk about racism, they use “racist” as an end point. “Trump is racist” is, by itself, a reason not to vote for him, and “being racist” is an indicator of a person who is morally deficient. But, if you don’t take this as an end point — if you instead ask “what do people get out of being racist?” — you’ll start to unravel the emotional motivations behind it. One of the best unpacking of this I have read is Matt Bruenig’s piece Last Place Avoidance and Poor White Racism. To summarize, no one wants to occupy the “last” place in society. No one wants to be the most despised. As long as racism remains intact, poor white people are guaranteed not to be “the worst.” If racism is ever truly dismantled, then poor white people will occupy the lowest rung of society, and the shame of occupying this position is very painful. This shame is so painful, that the people at risk of feeling it will vote on it above all other issues. And as she also points out, “America is terrible at giving its citizens dignity and meaning.” This should be required reading in many places. »All parachute injuries from two local parachute centres over a 5-year period were analysed. 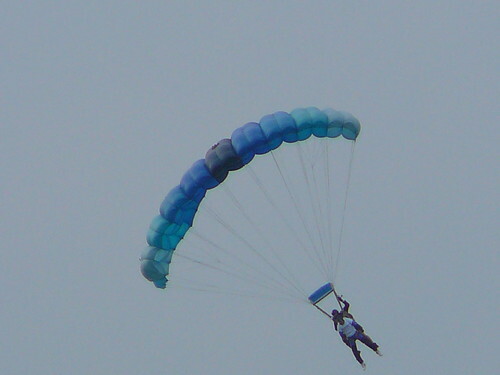 Of 174 patients with injuries of varying severity, 94% were first-time charity-parachutists. The injury rate in charity-parachutists was 11% at an average cost of 3751 Pounds per casualty. 63% of casualties who were charity-parachutists required hospital admission, representing a serious injury rate of 7%, at an average cost of £5,781 per patient. The amount raised per person for charity was £30. Each pound raised for charity cost the NHS £13.75 in return. »We already live in a world that is, as far as the distribution of wealth is concerned, about as unequal as it gets. It may even be as unequal as it’s ever been. My worry is that a cashless society may exacerbate inequality even further. The two opposing viewpoints are: in a world where corporations try to avoid tax and there might be a dwindling workforce, it’s important to have visibility of every transaction so that the taxable ones are visible. Alternatively, as Frisby argues, the ability to spend shouldn’t depend on access to technology which can be denied, or surveilled at will. »Google in 2012 sought to help insurgents overthrow Syrian President Bashar Assad, according to State Department emails receiving fresh scrutiny this week. The headline is overwritten: Google wasn’t seeking Assad’s overthrow. It was seeking to provide help to those inside Syria who wondered how many were really defecting. As the story points out, though, the anti-Assad movement helped create the conditions for ISIS to become strong. And it’s really not good for Google to be visible as having tried to influence the internal affairs of a Middle Eastern state – even in this roundabout way. Now one begins to wonder where else it might have tried to be “helpful”. »What those people have told me is that Powa was an almost textbook case of how not to run a company – no clear strategy, directionless management, overblown claims about the technology and a reckless attitude to money. For the last couple of years, I’ve been receiving emails from Powa’s PR agency urging me to cover the company’s ground breaking technology the PowaTag which “allows users to purchase anytime, anywhere in just three seconds by simply scanning an item or advertisement with their smartphone”. Eventually, the company claimed that it had 1,200 businesses signed up to use the PowaTag. I was not particularly impressed. I saw little evidence that the technology was being used, but one investor did bite. A Boston-based firm Wellington Management invested a sizeable sum in Mr Wagner’s venture. Eventually they along with other investors poured more than $200m into Powa. It seems likely they were told the same story that was peddled to journalists – that the PowaTag was going to be used by some of the world’s leading brands including L’Oreal and Carrefour. But what’s emerged since the collapse of the business is that none of those companies had signed contracts, merely “letters of intent”, which did not commit them to anything. One senior figure in the company told me that young inexperienced sales staff were rewarded with a £2,000 bonus every time one of these letters was signed “so they weren’t particularly concerned about the quality of the deal”. Textbook piece of investigative journalism where you talk to people and gather facts and talk to more people. (The headline is also clever – read all the way to the article’s end to find out why.) I bet there’s plenty more that Cellan-Jones couldn’t include because the BBC’s lawyers wouldn’t let it past. (Notably, FT Alphaville puts Powa’s real value at $106m, based on court documents filed in the US.) None of it looks good for Dan Wagner. Speaking of whom.. The amends I made that Techtrek has reverted as being “vandalism” were externally sourced, and links provided. I ask Techtrek to explain on what basis they consider them to be vandalism? It has been requested that any changes are raised and can be discussed on here so that we can get consensus. That’s a busy PR company if it’s burnishing a client’s personal Wikipedia page. Wonder how much of the VC money went to Flame PR? Though the fact that the Wikipedia user only edits Wagner’s page is… notable. »From the screenshots she sent me, it soon became clear what had happened. The hacker had somehow gotten access to Ericka’s iCloud account. She also received an e-mail message, in similarly broken English, from her own iCloud address. The message said he had access to all her bank accounts, personal information, etc, and would publish it if she didn’t respond within 24 hours. This is a pretty serious threat, and quite different from the typical Windows malware. Unfortunately, the story doesn’t end there. Apple designed Find My Mac/iPhone as an anti-theft feature. It is intended to allow you to take a number of actions on a lost or stolen device, including displaying a message, locking it, locating it physically and even remotely erasing it. As Reed points out, the same happened previously in Australia in 2014. Perils of the connected world: do you want to be able to find your machine if it’s stolen? But then, how secure is your cloud account? »Americans are not wrong to abhor the specters of socialism and big government. In fact, as a proud Finn, I often like to remind my American friends that my countrymen in Finland fought two brutal wars against the Soviet Union to preserve Finland’s freedom and independence against socialism. No one wants to live in a society that doesn’t support individual liberty, entrepreneurship, and open markets. The article originally appeared at The Atlantic, but the comments at BusinessInsider show how incredibly difficult Americans find it to grasp the idea of everyone benefiting from everyone paying more general taxes. While they defend their terrible healthcare system. And overlook the products that the Nordics have produced, such as Ikea and Lego and Linux. “A Boston Dynamics robot is for life, not just for Christmas.” Photo by jurvetson on Flickr. A selection of 9 links for you. Still, it’s Friday, somewhere. I’m charlesarthur on Twitter. Observations and links welcome. »Nearly three years since they officially blessed it with “partner” access (and after 14 billion emoji tweets tracked), Twitter has decided to shut Emojitracker down. Twitter continues to cut off developers’ noses to spite its face. »[US State Department coordinator Donald] Reid was tasked with trying to find a “BlackBerry-like” solution that would allow Clinton to be able to check her e-mail while in the secure office suite. The problem was that the solution supported by the NSA—its SME PED (Secure Mobile Environment Portable Electronic Device)—was hardly BlackBerry-like. SME PED devices are based on a secure version of Windows CE, and they’re only rated up to “Secret” classification. And as Clinton was taking over at State, the SME PED was only just becoming available. “The current state of the art is not too user friendly, has no infrastructure at State, and is very expensive,” Reid noted in one e-mail. The NSA refused to give Clinton a device similar to the one used by Obama: a modified BlackBerry 8830 World Edition with additional cryptography installed. And while Clinton’s predecessor Condaleeza Rice had obtained waivers for herself and her staff to use BlackBerry devices, Clinton’s staff was told that “use [of the BlackBerry] expanded to an unmanageable number of users from a security perspective, so those waivers were phased out and BlackBerry use was not allowed in her Suite,” an e-mail from the NSA’s senior liaison to the State Department noted. It’s basically the fight that everyone has with their IT department, but with state secrets involved. 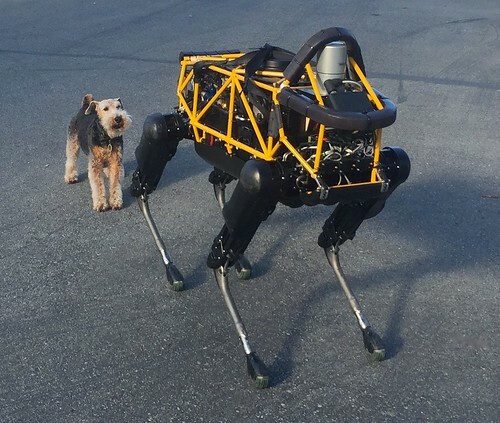 »Executives at Google parent Alphabet Inc., absorbed with making sure all the various companies under its corporate umbrella have plans to generate real revenue, concluded that Boston Dynamics isn’t likely to produce a marketable product in the next few years and have put the unit up for sale, according to two people familiar with the company’s plans. OK, I’m astonished. The intersection between AI/neural networks and robotics seems so obvious that this points to deep problems within Alphabet – specifically, inability to create collaboration (as it mentions). »In the real world, Dread Pirate Roberts 2 explained to me, people often made judgments about others before a conversation had even started. But in the dark web, where most people act pseudonymously thanks to the protections offered by Tor, the only social cue to go on is people’s actions. Take Defcon, who offered his services as a programmer to DPR2 in a private message. DPR2 was intrigued by Defcon’s calm tone among the chaos of Silk Road being shut down, and put him to the test. Within a few hours, Defcon had put what would become the Silk Road 2.0 forum online, along with a host of security features that others often neglect. “He knew what he was doing, I could tell instantly,” DPR2 said. Defcon did make a mistake, however. It would later be revealed that he registered a Silk Road 2.0 server with his personal email address. He knew what he was doing. I could tell instantl… oh. »I deleted Facebook off of my iPhone six months ago. I had one simple reason in mind: I thought I would be able to analyze Facebook more accurately and completely by not using it or its companion apps, cold turkey. Purchasing an iPhone 6s Plus at launch gave me the perfect opportunity to begin my experiment. My initial assumption proved true. In just the first eight weeks, I learned more about Facebook, Instagram, WhatsApp and Facebook Messenger, than the last eight years. I’ve reached a number of observations over the past six months on Facebook’s value and vulnerabilities and a definite answer to what was once a seemingly difficult question: Are Facebook and Apple becoming competitors? The answer to the latter is no, but the things he found out along the way about Facebook use ring very true. »The site’s other articles were an odd mix of celebrity gossip, entertainment news, and stabs at reporting on serious topics such as drug marketing. It wasn’t exactly high journalism, but it looked professional, not like some amateur blog. Google seemed to think so as well, because the story instantly went to the top of the results when I searched my name. In September 2015 the FBI arrested the man behind TheBlot, one Benjamin Wey. Not for smearing me or the other people he imagined were his enemies. He’s primarily a financier, and he was charged with securities fraud and other financial crimes involving Chinese companies he helped to list on U.S. stock markets. The U.S. Department of Justice alleges Wey pocketed tens of millions of dollars in illicit profits that he funneled through associates overseas and back into accounts in the U.S. Wey denies the charges. A trial has been set for March 2017. Lawrence is brave here, and Wey comes across as an utter scumbag – but also someone who is completely hyperactive, willing to spend hours cooking up totally libellous nonsense about people. That’s the problem online: the hyperactive idiots drive out the rational people. One other point: Google really favours that junk site Wey created. Searching on duckduckgo, TheBlot is some distance down the results. »Alphabet’s Google has quietly scored a major coup in its campaign to become an enterprise cloud computing powerhouse, landing Apple as a customer for the Google Cloud Platform, multiple sources with knowledge of the matter told CRN this week. According to the sources, Google executives have told partners that Apple is spending between $400m and $600m on Google Cloud Platform, although this couldn’t be independently confirmed. Also unclear is whether this range refers to an annual spending rate or a set amount of capacity. »Apple has announced three data centers opening soon, and spent an estimated $1bn last year on AWS. It’s a logical move for Apple if it wants more independence from its tech rivals. And it’s one Apple should make to store the growing media libraries from its mobile, TV and TBD products. Apple has reckoned, one source says, that given the fees it is paying Amazon and Microsoft, it could break even with its own data centers within about three years and not have the headache of negotiating with companies it considers rivals in other areas of its business. Pretty remarkable if Apple can build all that infrastructure and serve everyone and make it pay off that quickly. That would make the shift to Google just a temporary thing to drive down prices from those suppliers. »The first thing I noticed when switching to the Galaxy S7 Edge is how bad the touch responsiveness seems to be (although I might just be unlucky). It’s not so much the screen, although it does kind of “grab” at your finger as you swipe on it compared to the Nexus 6P, but rather the touch response itself. Quite often, when swiping away notifications the S7 Edge registers it as a press and launches the app instead. Likewise, when tapping UI elements it occasionally doesn’t register any press at all and I have to give it a serious press to get a response. Feel free to tease my ability to use a phone if you like, but something here is not right. Quite a few of Carlon’s complaints (they’re mostly complaints) fall into the 1% category – is it really such awful news that the back of your phone shows fingerprints? – but the touchscreen point, and his complaint that “it’s laggy” seem like gigantic points, which are lined up as being just as important (or unimportant) as how crowded the folder UI is.